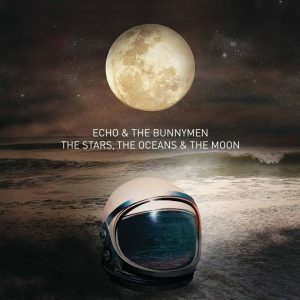 Echo & the Bunnymen recently hit the road again in celebration of their new record The Stars, The Oceans & The Moon. 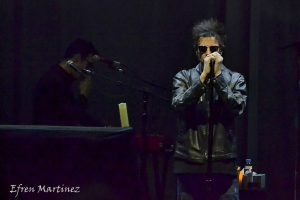 It’s a career-spanning collection show of their most beloved songs re-imagined in new ways using “strings and things”. 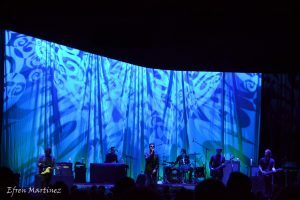 The show took place at one of my most beloved world-renowned venues, The Masonic in San Francisco. 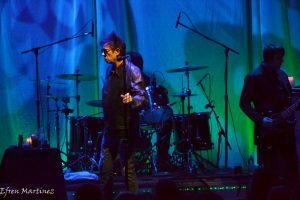 With a mostly relaxed show, Ian McCulloch and the band were able to execute a high pulse of energy throughout the crowd. 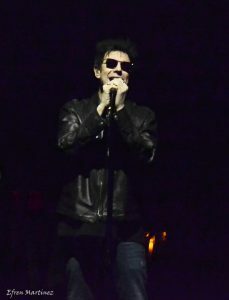 Ian singing captivated the crowd and his wit kept us amused with his ice cool and somewhat James Dean, like demeanor. The bands new LP The Stars, The Oceans & The Moon has much of the same Psychedelic feel as their other music that I enjoyed listening to in my younger years. 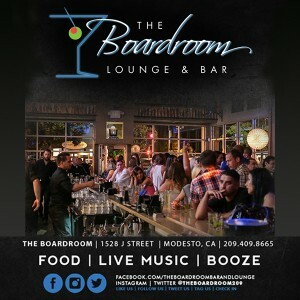 Of course, most of us danced out of our seats for Bedbugs & Ballyhoo, Bring on the Dancing horses, The Killing Moon, and Lips Like Sugar; but my wife’s all-time favorite song, The Doors “People are Strange” that they covered for “The Lost Boys” soundtrack never came. Surprised? You bet. 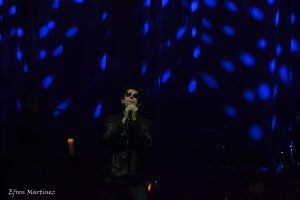 Although there was one other surprise factor of the Show, the band came out for two encores. I don’t recall ever attending a concert when the Artist came out for two encores. 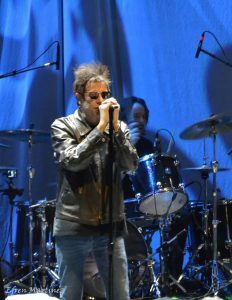 Thinking he was really done after the first, but the fans nearly tore up the venue because they wanted more of Echo & The Bunnymen. 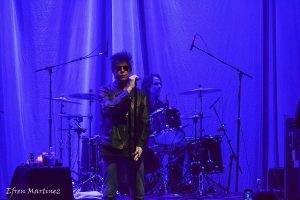 This totally made up for them not performing my wife’s favorite, “People are Strange” and in which case would have been a plus because most of us there were middle-aged Echo & The Bunnymen strangely fun. Friends let me invite you to get reacquainted with one of the best alternative rockers from the 80’s/90’s. Check out his new LP The Stars, The Oceans & The Moon available everywhere where cool music is sold. 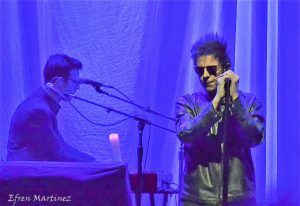 For those of you who’ve never heard of Echo & The Bunnymen; Echo & the Bunnymen are an English rock band formed in Liverpool in 1978. 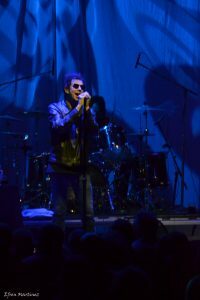 The original line-up consisted of vocalist Ian McCulloch, guitarist Will Sergeant and bassist Les Pattinson, supplemented by a drum machine the Roland Echo. 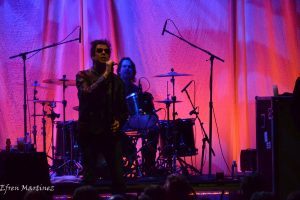 By 1980, Pete de Freitas joined the band on drums.